MouthWatch, LLC a leader in innovative teledentistry solutions, digital case presentation tools and intraoral imaging devices, recently donated its TeleDent™ all-in-one teledentistry platform as part of a pilot program to expand the access to oral care for the rapidly growing resident population at Little City, an organization providing services for individuals diagnosed with developmental and intellectual disabilities. Little City has been serving individuals with disabilities on its 56-acre campus located in Palatine, Illinois, since 1959. In June of 2016, Little City Foundation merged with Countryside Association for People with Disabilities. With that merger, Little City now serves over 1,100 individuals each year throughout Cook, DuPage, Lake and McHenry counties in addition to its Palatine campus. 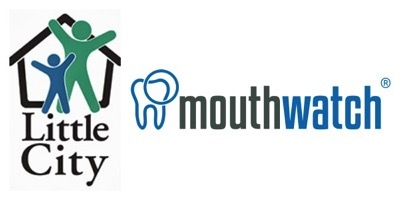 The MouthWatch TeleDent Platform consists of three components; the MouthWatch digital intraoral camera, the ExamTab™ portable LCD monitor and the TeleDent™ all-in-one teledentistry platform that is a scalable and secure cloud-based software solution that enables both real-time streaming and “store and forward” diagnostic images, videos and documentation, thus enabling the clinician to remotely conduct a patient evaluation and recommend next steps for treatment.